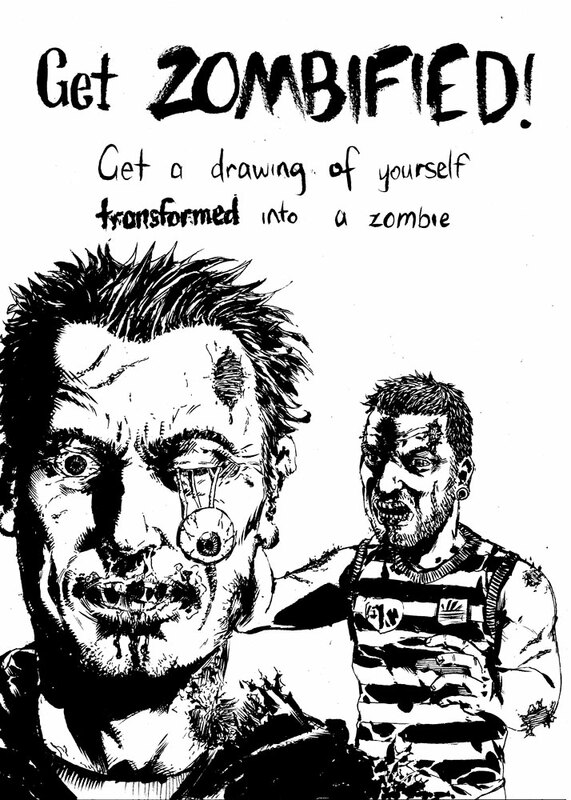 Brendan Halyday's Blog: Get ZOMBIFIED in Sydney this weekend! 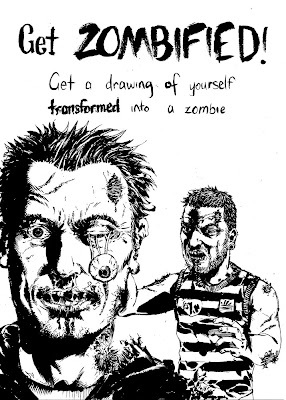 Get ZOMBIFIED in Sydney this weekend! I'm going to have a table at Supanova in Sydney this weekend at The Dome, Sydney Olympic Park, Homebush. (For more info visit www.supanova.com.au). I'll be selling my range of comics and zines, including the hot off the presses 'Tragic Romantic Comics no. 1'. Ill also be doing sketches, portraits, as well as zombified portraits where i draw a person as a zombie. If you want a pic of yourself as a zombie, come on down to Supanova. For those who aren't going to supanova, but want a commision, send me an email at brendan(at)brendanhalyday.com.